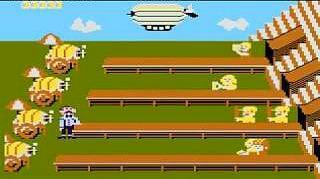 This much-loved game was available on a wide range of platforms during 1983 and 1984. 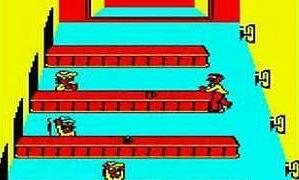 Our video playlist includes a "let's compare" videos, along with separate clips of conversions for the C64, Atari 8-bit, Atari 2600, Amstrad CPC, Apple II, ColecoVision, BBC Micro, ZX Spectrum and DOS versions. There is also a lovely clip that features an original arcade machine. 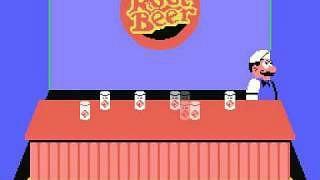 In all versions of the game you played the role of a bartender and you had to serve drinks to your customers in four separate bars as they slowly advanced towards you. Should any customer reach the end of the bar, then you were tossed out of the bar! 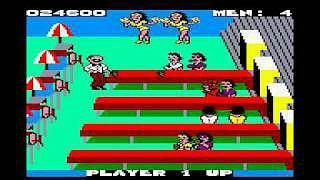 This was another classic 80s video game with a simple concept - serve beer, collect the empties and tips - proving that simple ideas work the best. Here you can see an old Atari 2600 cartridge and manual. 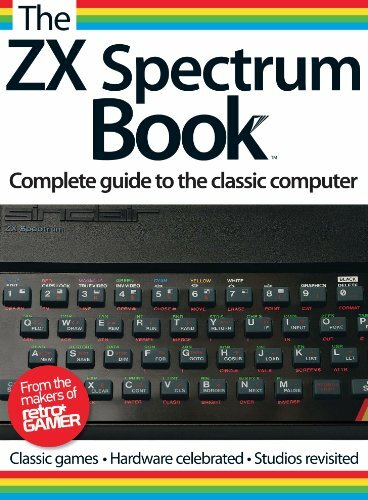 This version, along with versions for the other Atari consoles and the 8-bit computers was made available in 1984. 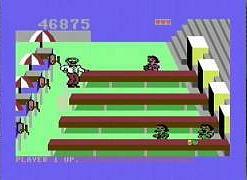 The first video clip at the top of the page features the C64 version of Tapper, which was originally released into the arcades in 1983 by Bally Midway. 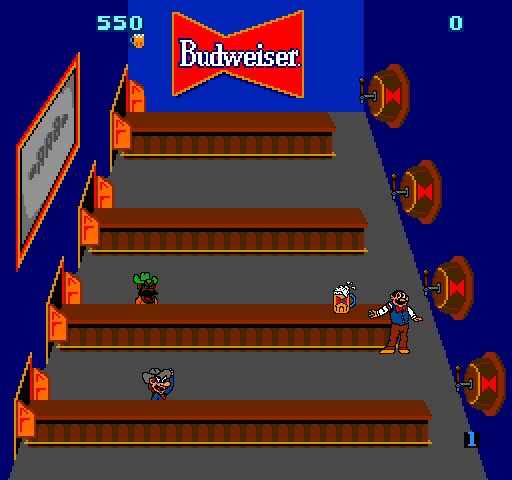 Several variants of the game were released, including one called Root Beer Tapper. 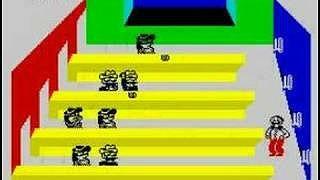 Well, this is the 8-bit computer version I played back in the mid 80s, when I was about 15 years old. Comparing it to the C64 version it seems to play a lot faster, although that may be due to the video clip featuring harder levels on the C64, of course. 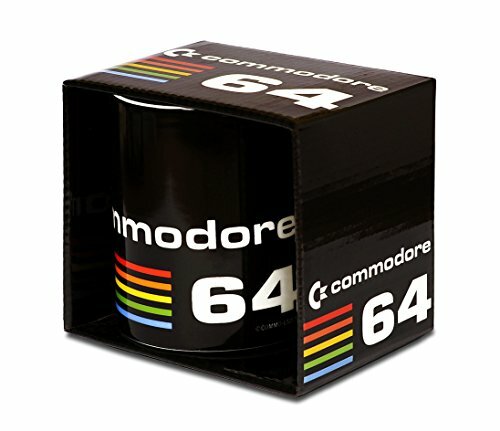 I'm not one for getting into the old Commodore versus Atari argument (an argument that continued with the 16-bit machines), and it's a simple fact that there were good and bad video game conversions on both formats. 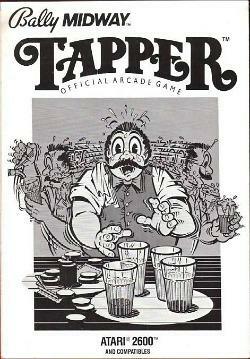 In the case of Tapper, both versions seem pretty good to me and are far better than the Amstrad CPC version below. This is certainly a very colourful version of the game, but it doesn't appear to play very smoothly or quickly, and judging by the comments on Youtube, this wasn't the best of conversions. Apparantly, the problem is that the game changes speed depending on how many sprites are on screen - the machine simply doesn't cope very well. That very basic General Instrument AY-3-8912 sound chip music is very annoying, too!